Tom's Christ-centered lyrics and his genuine expression of faith will resonate with listeners of all ages in this 13-song album. 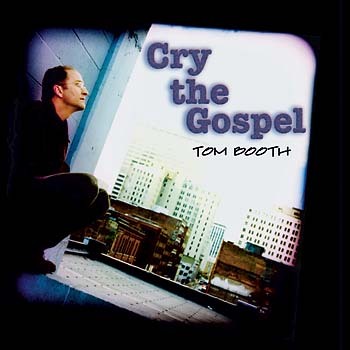 Offering some of Tom's best music, Cry the Gospel features appearances by Christian music legends as well as emerging young artists whom Tom served as a mentor. With this all-star cast, it's no wonder so many of these songs are familiar as radio hits and concert favorites. Accompanied by classical guitar, flute and cello, Tom joins forces with John Michael Talbot in "I Sought the Lord," a tranquil, spirit-filled duet based on Psalm 34. The late Rich Mullins co-wrote "Nothing Is Beyond You," a poetic, slow-building, piano-based song that stood at number one for some time on the contemporary Christian charts. Cyprian Consiglio shares lead vocals with Tom on "Rise Up in Splendor," a triumphant song of praise for "our Light" that "has come." Backed by the Nashville Strings and trumpet fanfares, it's a majestic, devotional track that gives shivers. Even Matt Maher and Chris Muglia -- now accomplished solo artists themselves -- joined in this production. Matt plays keyboards on five tracks, showing great talent. The title track, written and performed for Pope John Paul II on his visit to St. Louis in January 1999, is a singable anthem calling us to holiness -- "cry the gospel" in our daily lives. Tom's Christ-centered lyrics and his genuine expression of faith will resonate with listeners of all ages. Offering some of Tom's best music, Cry the Gospel features appearances by Christian music legends as well as emerging young artists for whom Tom has served as a mentor. With this all-star cast, it's no wonder so many of these songs are familiar as radio hits and concert favorites. Cyprian Consiglio shares lead vocals with Tom on "Rise Up in Splendor," a triumphant song of praise for "our Light" that "has come." Backed by the Nashville Strings and trumpet fanfares, it's a majestic, devotional track that gives shivers. Even Matt Maher and Chris Muglia—now accomplished solo artists themselves—joined in this production. Matt plays keyboards on five tracks, showing great talent. The title track, written and performed for Pope John Paul II on his visit to St. Louis in January 1999, is a singable anthem calling us to holiness, to "cry the gospel" in our daily lives.